New Delhi: With a sense of commitment to healthcare and an eye on achieving global excellence in the services sector, Venkateshwar Hospital is the new state-the-art healthcare facility in Delhi. Situated in Dwarka, set across 8000 square meter, it is the only super specialty hospital on this scale in the area. The facility is equipped with 325 beds out of which 100 are critical care beds, 32 specialties, and 10 modular operation theatres. The most skilled and experienced talent from across Delhi has come together to forms teams of doctors and healthcare providers who are dedicated to the healing. Delhi’s biggest schools, in establishing Venkateshwar Hospital. Our hospital is built on a strong foundation of ethical medical practice. Our promise to the people is that we are service-oriented, not target-driven. We have already conducted free camps in the nearby villages to help the neighbourhood,” said Dr Y. P. Bhatia, Chairman, Advisory Council, Venkateshwar Hospital, Dwarka. Urology, Nephrology, Orthopedics and Joint Replacement, Gastroenterology, and Pulmonary and Sleep Medicine are other Centres of Excellence. The Neurology department is unique, with a team of neurologists, neurosurgery specialists, and a pediatric neurologist. 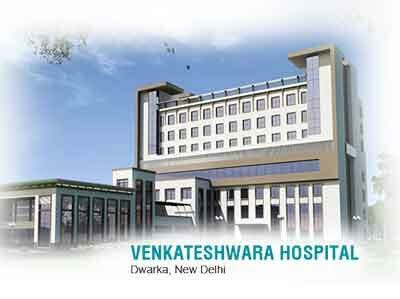 Venkateshwar Hospital has a set of 24X7 services: imaging, emergency, pharmacy, laboratory, blood bank. “At Venkateshwar Hospital, our focus is on putting together the best team possible. As healthcare professionals, our aim is to ensure the best patient outcomes. Hence, we have developed systems which are not pyramid-like structures at all, but rather form a circle of shared responsibility and decision-making. This also ensures the patient is well taken care of by every single member of the team. a shared proud moment for us at the hospital, and of course for the family of the little girl. We hope to continue serving people in the best possible way we can,” said Dr Y. P. Bhatia, Chairman, Advisory Council, Venkateshwar Hospital, Dwarka.